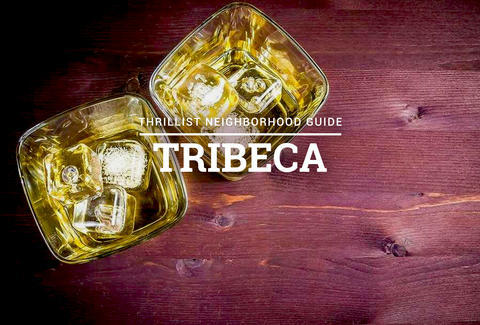 Let's face it: most people who don't live in Tribeca don't spend a ton of time there. But 1) you might get rich and move there, at literally any time! And 2) other things could happen that'll drop you into the triangle below Canal. When that goes down, our nine favorite bars will be waiting there for you. 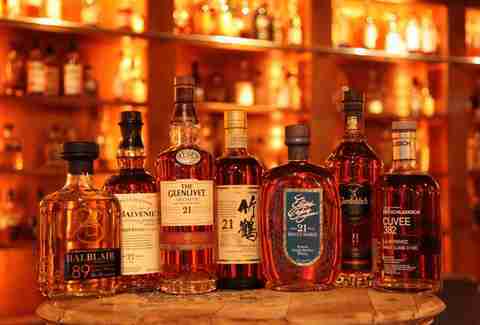 It's staggeringly well stocked with the rarest Cognacs, single malts, and Japanese whiskeys, for those relaxing times when you want to quote Billy Murray saying "for relaxing times". Employees are referred to as librarians, but they won't shush you, and don't know crap about microfiche. Cute and frill-free with an eclectic wine list and tasty snacks, Terroir's 5-7pm happy hour means half-off the already reasonably priced vino. Their tagline is, “The elitist wine bar for everyone”, which makes no sense, to everyone. But that's fine. 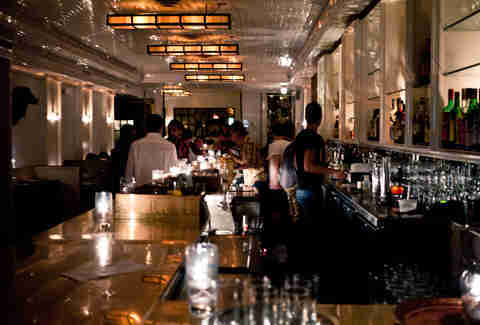 The drinks are cheap, the shuffleboard table is short, and you definitely won’t feel like you’re in Tribeca. And although the bar is old as hell, the white-bearded barman who takes shots all day is older. A friend swears he once witnessed him berate a Cosmo-ordering male model with "We don't serve that sh*t here, get the f*ck out!" This friend has a reputation for making up elaborate lies, but at the very least, this is definitely the kind thing that could happen at this place. Maybe it’s jammed because of the extensive range of house cocktails, or because the bartender will make you a personalized drink based off base spirits and flavors you choose, or because of delicious small plates like bacon-wrapped dates. Or maybe it's simply because you can order all of the above until 4am. 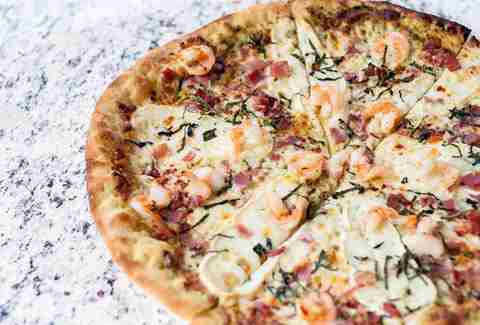 Even when compared to pizza-pizza -- not just bar pizza -- these things are amazing. Amongst the myriad “lounges”, “dens”, and "hideaways" native to Tribeca, this divey block-to-blocker is one of the few where you can just chill with pitchers of beer, a pool table, and relatively normal prices/people. It's your standard sports bar, but better. 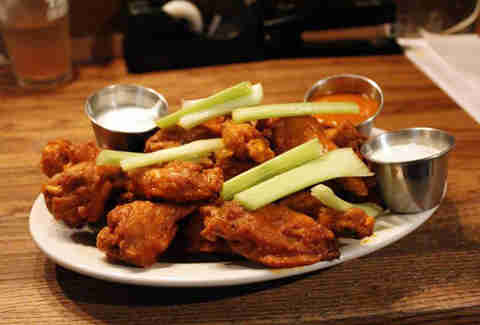 There're 10 flavors of chicken wings, 150 craft taps that rotate weekly, and 500,000 screens for game-viewing. Miraculously, it's rarely overcrowded because rich people don't care about sports, or something. 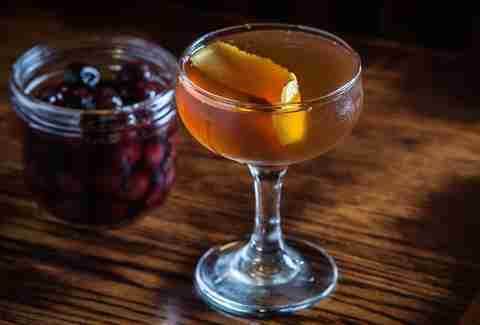 The super-fresh potions in this amber-lit, retro cocktail lounge are simply delicious, and the suspendered bartenders will happily whip you up something special if you don’t see what you like on the menu. Alright, we’re not here to lie to you -- there are better bars in this city for beer. 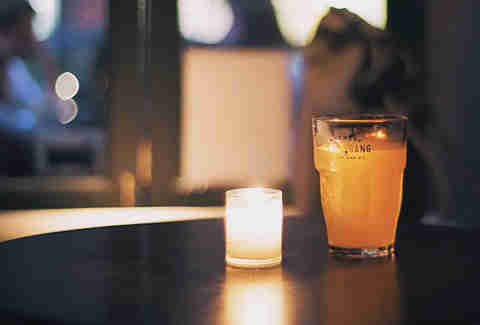 That said, this cozy, concrete, candle-lit bar is the Tribeca ticket if you want a quiet craft brew or glass of wine below Canal (no booze, sorry Rip Torn). Also, they put tables out front when the weather permits, which is terrific. The doorman is notoriously fickle, so don’t be too hard on yourself if you can’t get in. But if you’re going to try, know that the entrance is separate from the Tribeca Grand Hotel's and that if you’re not at least as beautiful and interesting as a recent-grad New School photography major with an internship at Christian Lacroix, or Chloe Sevigny's brother, you probably shouldn’t even bother. Carrie Dennis is an Associate Editor for Thrillist and likes to hit all these spots in one night. Follow her on Twitter @CarrrieDennnis.